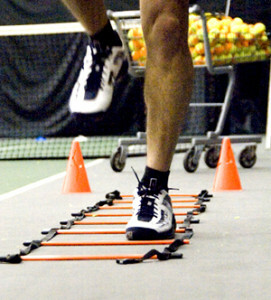 INTENSIVE TENNIS-SPECIFIC CONDITIONING with Pjotr Nechaev – Channel your inner “Stan” and get match-tough with this Intensive Conditioning class. Mondays and Wednesdays directly following Top Flight I. Call Pjotr directly (313) 455-0037, or email the club at info@wessenitc.com.